Pre-foreclosure real estate is one of the hottest investmentopportunities on the market. 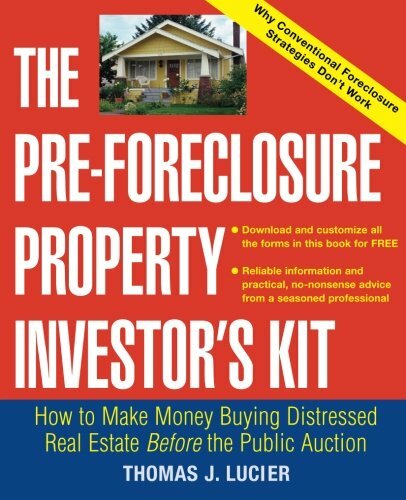 The Pre-Foreclosure PropertyInvestor?s Kit offers step-by-step instruction and no-nonsenseadvice on how to find great deals, estimate fair market value,negotiate with sellers, sell your property on your own, and win bigin real estate. You?ll learn how to get the best deals onforeclosure properties before they go to auction and utilize simpleready-made worksheets, checklists, forms, and agreements that makegetting started easy. Even people of modest means can get intopre-foreclosure investing—all it takes is a little hard work,persistence, and the tools you?ll find in this handy guide.